Scott Ross joins JiC to report and share his thoughts on the story of Caesar Acellam, the rebel commander who defected from the Lord’s Resistance Army last year. Scott is the author of the blog Backslash Scott and is a graduate student at Yale where his research focuses on the use of radio as a response to the LRA conflict in Uganda and the Democratic Republic of Congo. It has been over a year since former Lord’s Resistance Army (LRA) Major General Caesar Acellam was taken into custody by the Uganda People’s Defense Force (UPDF). Only now has he opened up and told his defection story. On June 28, Acellam addressed civil society leaders and government officials from Uganda, the Democratic Republic of Congo (DRC), and Central African Republic (CAR) at a conference organized by the US-based NGO Invisible Children. In his first public address since his initial capture in May of 2012, the former rebel commander called for an end to the rebel group through both military and peaceful means. Initially abducted in 1988 by the nascent Ugandan rebel group, Acellam has been the subject of some scrutiny among observers of the LRA and advocates of peace and justice in the conflict. When the UPDF announced his capture last May, it came both in the aftermath of the viral Kony 2012 video and in the midst of the tumultuous suspension of Uganda’s Amnesty Act. Invisible Children released Kony 2012 in March of that year with the intention of raising awareness in the international community about the LRA conflict. The video called for the United States to support the Ugandan military’s efforts to capture LRA rebel leader and ICC indictee Joseph Kony and his top commanders. While many rallied behind the organization’s support for bringing the LRA to justice, the Ugandan government was working to dismantle a key effort to bring the war to an end. The Amnesty Act of 2000 was originally passed by the Ugandan Parliament with broad civil society support among those affected by the LRA. The goal was to bring back abducted conscripts without endangering them and, in doing so, sap strength from the LRA by peaceful means. When the government unilaterally allowed key provisions of the Act to expire in 2012, organizations both in Uganda and abroad called for its immediate reinstatement. In this wider context, Acellam was taken into custody by the UPDF and it remains unclear what subsequently happened to him. When he was first captured, an adviser to the Amnesty Commission stated that “there’s absolutely nothing that prevents Achellam from being considered for amnesty.” However, less than a week later the Director of Public Prosecution declared that he would be ineligible for amnesty due to his seniority in the rebel group. The confusion continued as Acellam was whisked away by the UPDF. He has been seldom seen or heard from since. The question of whether Acellam defected or was captured is an important one. According to the Amnesty Act, defecting escapees are allowed to apply for amnesty immediately, while captured rebels must first be approved by the Director of Public Prosecution, the party responsible for prosecuting them. This latter process has been marred by the illegal detention of former LRA commander Thomas Kwoyelo, who remains imprisoned despite multiple court orders for his release. When he spoke to the conference last month, Acellam tried to make it clear that he was a defector and not a prisoner. The conference brought together religious, governmental, and civil society leaders from DRC and CAR to meet with each other and with leaders of the Acholi community who had suffered under the LRA for over twenty years. On the first day, Central African and Congolese leaders raised questions about Acellam. It was then decided that they would meet him the next day in a brief dialogue about the LRA and their activities in the DRC and CAR. It was to this audience that Acellam called for “cooperation between the locals and security personnel” in order to capture other LRA commanders. When a representative from Bangui, CAR, asked Acellam whether he had defected or had been arrested, Acellam told a story of a tenuous relationship with the rest of the LRA leadership. After being abducted for allegedly collaborating with the government, Acellam was warned that his village would be attacked if he tried to escape. He spent the next twenty-four years with the rebel group. 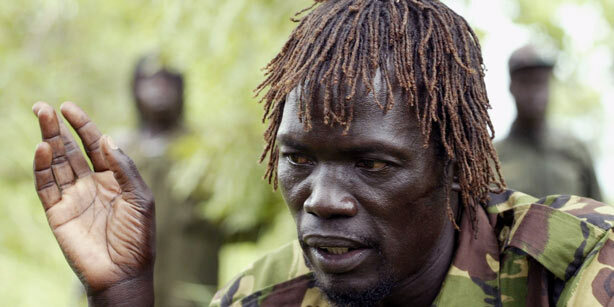 In July of 2007, according to Acellam, he was “arrested by the leadership on suspicion of inciting others to come out.” He was placed in solitary confinement in Garamba National Park, DRC, while the rebel leadership was in the midst of negotiating with the Ugandan government in Juba, South Sudan. 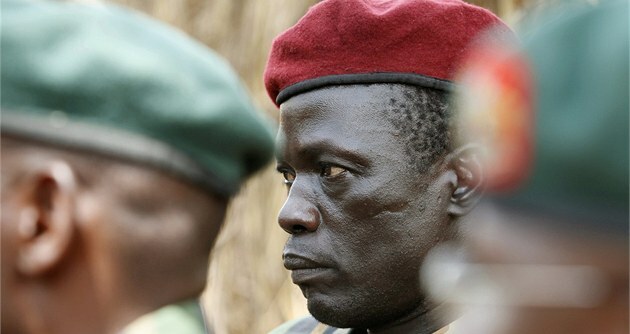 These negotiations were perhaps the best chance to end the conflict but ended, according to some, after the question of the ICC indictments could not be sufficiently resolved and after the government of Uganda supposedly sowed discord among the LRA delegation, leading to mistrust among several LRA leaders. It was at this time that Kony ordered the execution of his second-in-command, ICC-indicted Vincent Otti, allegedly for considering an agreement with the Ugandan government. After being captured as a part of this wave of mistrust, Acellam was not released until the Ugandan-led and US-supported Operation Lightning Thunder, which dispersed the LRA base in Garamba, was initiated. After two more years in the LRA, Acellam was arrested once again for the same crime. Eight months into his second round of detention, Acellam escaped with a small number of others, including his family, near the Congolese town of Ango. From there, they crossed into Central African Republic, where he tracked down nearby UPDF fighters and surrendered to them. Since then, he has remained with his family in the UPDF barracks in Gulu district. Many of those in the audience agreed. Civil society leaders from Acholiland as well as the DRC and CAR shook hands with Acellam and took photographs with him, thanking him for meeting with them. Many of the civil society leaders seemed to believe that Acellam was a victim of LRA violence much like they are now. Later, a Congolese official from the Dungu territorial administration said that he did not believe Acellam had to face justice because he was not the LRA’s leader. This could be a result of a sustained effort by the United Nations, Invisible Children, and local non-governmental organizations in LRA-affected areas to urge reconciliation and forgiveness for LRA escapees. When he was initially taken into custody, Invisible Children and the UPDF pointed to Acellam’s capture as evidence in support of the military approach to apprehending Kony and his commanders. Framing his defection as a military victory reinforced the goals of Kony 2012 and the UPDF’s international manhunt. But at the conference, hosted by Invisible Children and which included a representative from the military, Acellam told a story of escape and defection in which he broke with LRA leadership on multiple occasions. If his story is taken as true, it flies in the face of the UPDF narrative and raises questions about the UPDF’s role in the conflict. 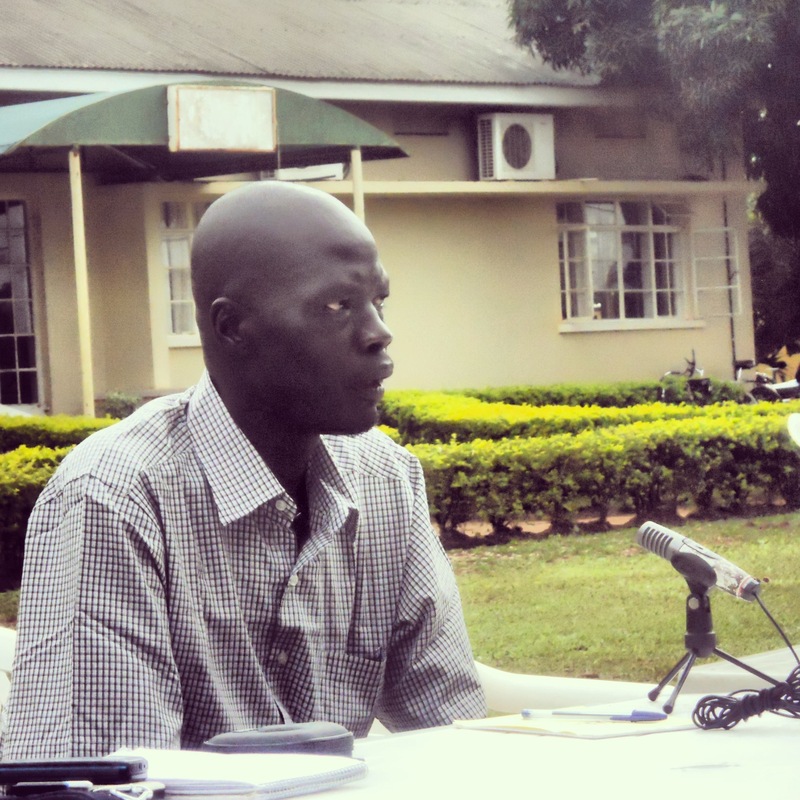 If disagreements within the LRA led to Acellam’s escape, and he went in search of a place to surrender, then there could be less militarized ways to facilitate such defections, such as defection messaging and reception centers. In addition, Acellam’s defection makes it clear that he should be granted full amnesty. Despite the fact that the amnesty law was reinstated this May, the Amnesty Commission remains drastically underfunded and understaffed and it is unclear if Acellam is in the process of applying for amnesty at all. Invisible Children, however, has been able to handle the change from capture to defection incredibly well. The organization has always pushed for embracing the LRA abductees while condemning the indicted commanders to justice, opening a rehabilitation center for former abductees in the DRC and partnering with local NGOs that work on promoting reconciliation with the rebel group. Acellam’s defection helps support their message of forgiving abductees without harming their campaign to bring Kony to justice. Similarly, Acholi traditional and religious leaders have used this opportunity to continue to push for a more peaceful end to the conflict, promoting their use forgiveness and reconciliation over military action. Meanwhile, Acellam continues to live at the barracks, but it is unclear whether he is being held there or if he is in the middle of negotiating a transition into the UPDF. The day before Acellam’s appearance, UPDF Division I.O. Major Patrick Bigirwa noted that some former LRA are now part of the UPDF, adding that “the same process can occur for Acellam.” Regardless of Acellam’s fate, his appearance before those affected by the LRA had an impact which they have already taken back to their homes. At the conference, Invisible Children’s regional office director Mundunga Patrick called for an increase in sensitization campaigns to ensure that LRA defectors were received by affected communities in order to facilitate more defections and less attacks. On the ground in the DRC, such campaigns are already taking place. This entry was posted in Central African Republic (CAR), Democratic Republic of Congo, Justice, Kwoyelo Trial, Lord's Resistance Army (LRA), Uganda and tagged Caesar Acellam, Thomas Kwoyelo, UPDF. Bookmark the permalink.